Chapter Meeting, May 24 Social Media – Good or Evil? The phenomenon of social media has changed our world and our culture in more ways than we can fully comprehend. Thanks to social media, our ability to communicate and network is far beyond anything we could have ever foreseen before the days of Facebook and Twitter. But, at the same time, the negative influence of social media may also be far greater than we yet understand. Join us for Jorge’s well-informed presentation and discussion as we strive to understand the size and nature of social media’s impact on our world. Jorge is a professional speaker and apologist, who joined the CrossExamined.org team in 2015 as their Social Media Director. He is passionate about creating quality resources in both English and Spanish to equip the body of Christ to confidently defend the Christian faith.He frequently speaks at colleges, churches, public events, open forums and other venues on topics related to Christianity and apologetics. 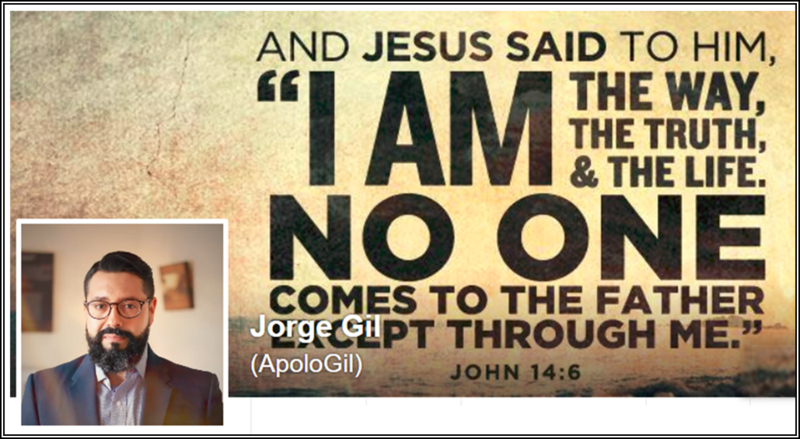 You can find his apologetics writings and videos at his website JGil.org. Certified by RZIM Academy and CrossExamined he is now an instructor at the CrossExamined Instructor Academy annual program. He’s also skilled in multiple areas such as graphic design, video, audio production and editing, online content creation, and online marketing. Jorge lives in Conover, North Carolina with his amazing and beautiful wife Lia and their children: Leda and Aiden. He will be live and interactive via “Zoom” as we join with other Reasonable Faith groups from around the country (and possibly the world?). A number of new chapters have been added recently. For a list of Reasonable Faith chapters or for any Reasonable Faith questions, CLICK HERE.